Farhan Maher allows you to download past papers directly atyourmobile device and you can revise the subject whenever youwant.Farhan Maher giving you instant access of all the past papersfrom5th class to masters level. Here are some of the main classesforwhich we have provided old uptodate past papers: Class 5th&8th past papers Class 9th & 10th Matric past papers Cass11thand 12th Inter Part 1 Part 2 FA FSc Past papers BA & BScPastpapers from Punjab University , UOS, Karachi Universit, BZUandmore MA MSc MCom past papers MCAT & ECAT MBBS & BDSDAE& CSS Past papers and more. You can customize your searchforthe respective exams’ past papers and it covers all subjects atanylevel from 5th, 8th grades, Matriculation, Intermediate,Bachelorsand Masters of any Board/ University. In addition the pastpapersof entrance tests and competitive exams are also availabletodownload. Farhan Maher constantly giving you the right accesstoeducational material at any level and provides additionalmaterialfor practice for the upcoming exams. Past papers ofprevious yearswith relevant source materials would help thestudents to achieveexcellent marks. However, we also recommend youto visit thewebsite www.youtube.com/fmislamicmedia/ for moredetails and getthe material directly from the website. We have doneour best bygiving you access to past papers from primary to masterslevel andif you have additional question or found any mistake/errorpleaseleave your invaluable suggestions/feedback. Access hundreds of past exam papers from your mobile phone ortablet for your revision and studying. *This app requires aninternet connection to load the past exam papers *All the past exampapers you view are saved for offline access More past exam paperscoming soon! --Disclaimer-- This app is not an official product ofthe Examination Council of Zambia, nor is it affiliated with therepresented brand. In case of any issue arising, the brand does nothold any responsibility for any damage caused by using the app. 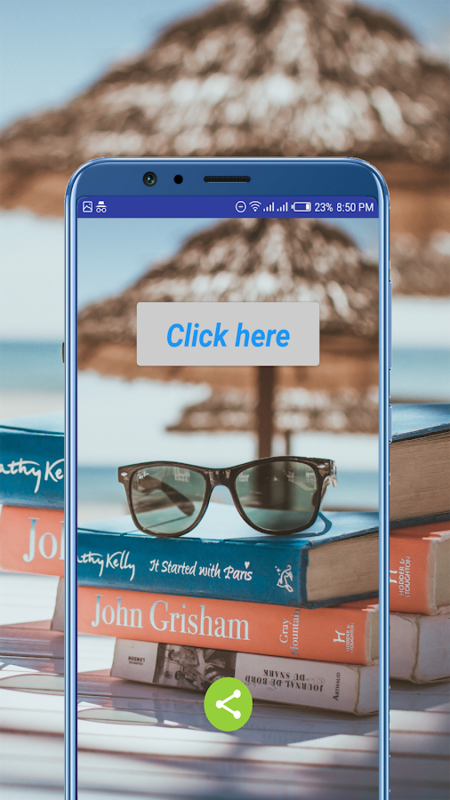 All classes and subjects past papers right at your mobile deviceIlmkidunya allows you to download past papers directly at yourmobile device and you can revise the subject whenever you want.Ilmkidunya giving you instant access of all the past papers from5th class to masters level. Here are some of the main classes forwhich we have provided old uptodate past papers: Class 5th &8th past papers Class 9th & 10th Matric past papers Cass 11thand 12th Inter Part 1 Part 2 FA FSc Past papers BA & BSc Pastpapers from Punjab University , UOS, Karachi Universit, BZU andmore MA MSc MCom past papers MCAT & ECAT MBBS & BDS DAE& CSS Past papers and more. You can customize your search forthe respective exams’ past papers and it covers all subjects at anylevel from 5th, 8th grades, Matriculation, Intermediate, Bachelorsand Masters of any Board/ University. In addition the past papersof entrance tests and competitive exams are also available todownload. Ilmkidunya constantly giving you the right access toeducational material at any level and provides additional materialfor practice for the upcoming exams. Past papers of previous yearswith relevant source materials would help the students to achieveexcellent marks. However, we also recommend you to visit thewebsite www.ilmkidunya.com for more details and get the materialdirectly from the website. We have done our best by giving youaccess to past papers from primary to masters level and if you haveadditional question or found any mistake/error please leave yourinvaluable suggestions/feedback. What if you could study on the Go and be more productive throughoutthe day? This App Provides ECZ Zambian Past Exam Papers. It isbuilt to help out students gain access to past exam papers on thego. THIS APP NEEDS MOBILE INTERNET/WIFI CONNECTION TO VIEW PASTPAPERS. An inbuilt Calculator to help you with some of theCalculations without leaving the App. We have added The 2018 ExamTimetable. You can also gain access to to any latest News by ECZfrom within the App. Great user interface for an amazing userexperience. And it has been built in a way that Even Teachers willbe able to use it as a Teaching Resource. Download and share theApp with all Students. Kindly Note that this is not an official Appfor the EZC. This App, the developer and all Contributors do nothold any responsibility for its use by other parties In case of anyissue arising. West Bengal Joint Entrance Examination or the WBJEE is astate-government controlled centralized test, conducted by the WestBengal Joint Entrance Examinations Board for admission to manyprivate and governmental medical and engineering institutions inWest Bengal. The test is taken after the 12th grade for admissionto graduation (also known as Bachelors) courses. The exam can betaken by those who studied Pure Science stream in plus two levelwith the specific subjects tested in the examination, which arePhysics, Chemistry, Mathematics and Biology. There are actually twoseparate tests for medical (also called WBJEE Medical) andengineering (also called WBJEE), the difference being that themedical test has the Biology paper while the engineering test hasthe Mathematics paper. Grade 12 Mathematics Mobile Application contains activities,practice practice problems and past NSC exam papers; together withsolutions.The app is well arranged in a way that it can beeffectively used by learners to master the subject and betterprepare for their final exam.It contains NSC exam past papers fromNovember 2013 - November 2016. The activities from this app areobtained from mathematics study guide posted on the departments ofeducation website.Hope you will this useful and better luck withyour matric year!!! HSK Online helps foreigners prepare and successfully pass HSK1-6 tests. HSK online testing, simulation exercises, model exams, studyreports, error explanations are for use and examination strategies,your problem solving abilities will be improved fully. Smartquestions from large question bank will let you fully aware of yourprevious errors and high-frequency questions will be repeated.Question links specially for you and highlighted emphases will beavailable to help you learn efficiently. Listening, reading andwriting exercises all taught by teachers with more than ten years’teaching experience and problem-solving ideas and skills areanalyzed. Teachers will also make study plans and supervise yourprogress in One-On-One tutoring so that the review quality would beguaranteed. You will surely learn Chinese effectively and pass theHSK test with our help. Features: Proficiency Test: Test yourlanguage competency accurately, track the progress automaticallyand arrange test time flexibly. Authoritative Report: Identify yourweak points which would be accurate to language points and specificquestions. Simulation Test: Specialized training of listening,reading and writing with intensive training of difficulties,high-frequency questions and your previous errors. Past ExamPapers: Real-time updated question bank which allows you to doexercises and tests anywhere on every terminal. DetailedExplanation: Cover all the key points, difficulties, patterns,predictions and skills. Writing Instruction: Essay correction byexperienced teachers with experts to answer your questions so as tohelp you score higher in writing. Professional tutors will help youwith every word and sentence of HSK4, HSK5, and HSK 6 writing.Based on official standards, give strict scores with examples onrevision and problem-solving ideas. Fully explain the writing ideasof HSK 4-6 by analyzing model essays. One-On-One Tutoring: Studycounselors would supervise, tutor and answer questions of VIPstudents. Make study plans according to the study report.Specialized and intensive training. Detailed explanation of HSKwords + grammar points: HSK Level 1 ( HSK 1 )：200 high-frequencywords＋44 grammar points ( hsk 1 ) HSK Level 2 ( HSK 2 )：210high-frequency words＋48 grammar points ( hsk 2 ) HSK Level 3 ( HSK3 ) ：280 high-frequency words＋51 grammar points ( hsk 3 ) HSK Level4 ( HSK 4 )：130 high-frequency words＋62 grammar points ( hsk 4 )HSK Level 5 ( HSK 5 )：296 high-frequency words＋32 grammar points (hsk 5 ) HSK Level 6 ( HSK 6)：598 high-frequency words＋23 grammarpoints ( hsk 6 ) Targeted tutoring before the exam. Answer yourquestions 24/7. Your will get: ■Updated simulation tests andprevious exam papers of HSK 1, HSK 2, HSK 3, HSK 4, HSK 5 and HSK 6■Analysis of problem-solving ideas and skills by teachers with overten-year experience. ■Essay correction by teachers with overfive-year experience in order to improve your writing abilityefficiently. ■Solve all difficult questions of yours throughOne-On-One tutoring. Available for 8 languages: Korean, Japanese,English, Thai, Russian, Vietnamese, French, and German. Download“HSKonline”——pass HSK tests with ease!